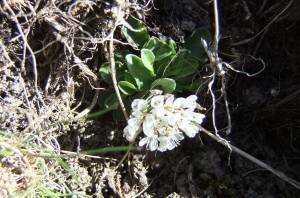 Record Name Alpine penny-cress. Thlaspi caerulescens in Arkengarthdale. 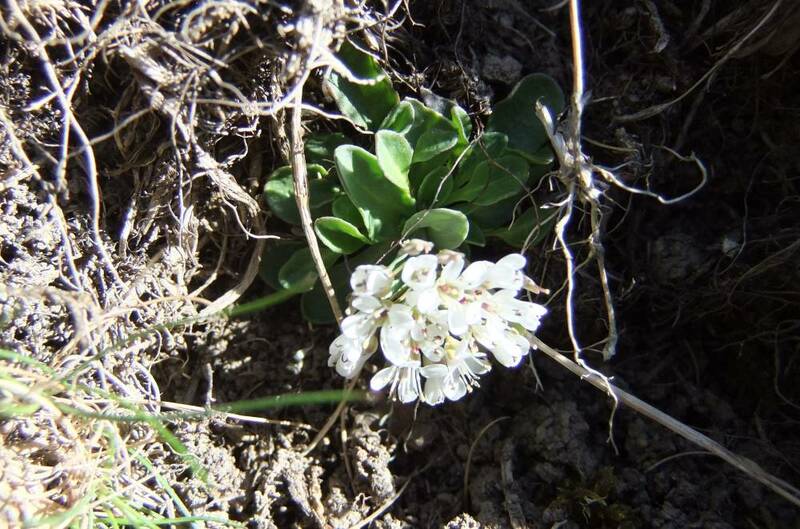 Record Description Alpine penny-cress is very rare in Wensleydale and Swaledale and is listed as a Scarce Plant in Britain (Stewart, Pearmain and Preston, 1994.BSBI, JNCC). 1994). This plant is tolerant of high levels of heavy metals, lead and zinc and can occasionally be found on lead mining ground. This very small plant is a real gem especially when seen at close quarters by means of a digital camara.